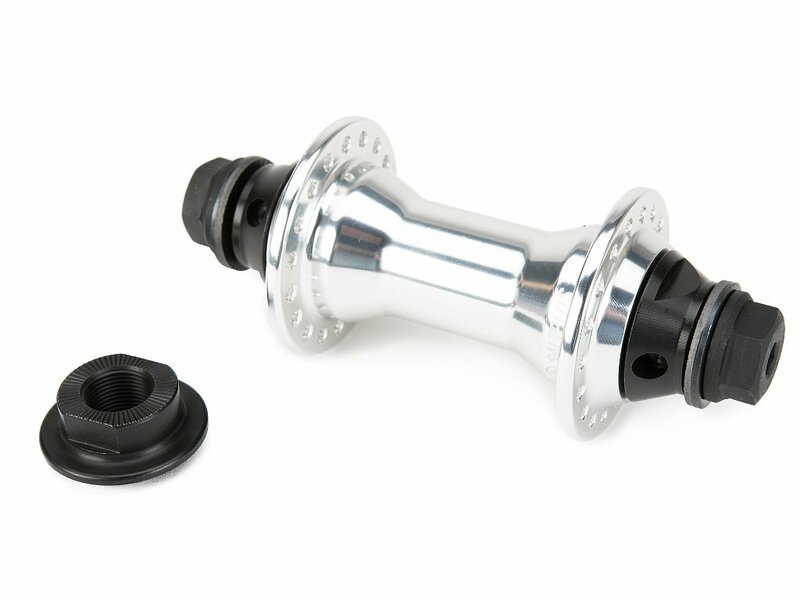 The SaltPlus "Trapez V2" Front Hub comes with female axle and 3/8" CrMo bolts. The hub shell has a slim low flange with a round shape. 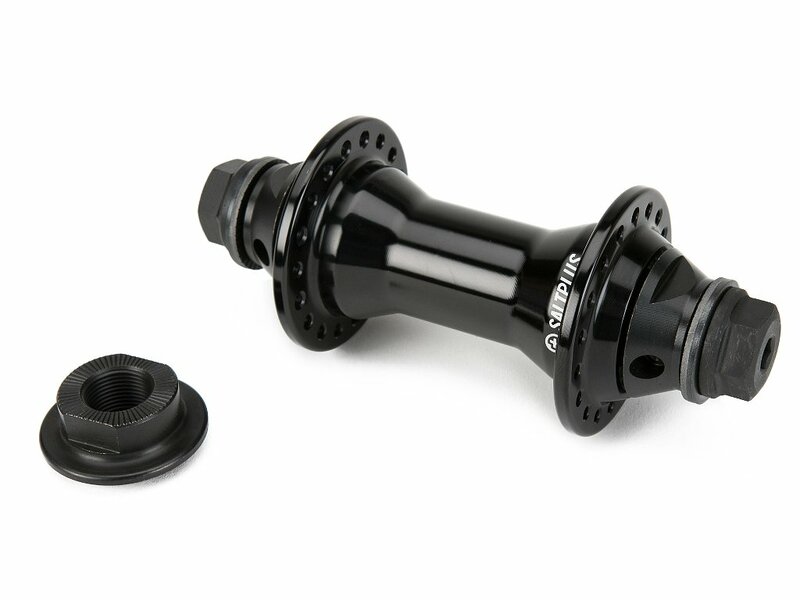 Of course you get the SaltPlus "Trapez V2" Front Hub with sealed bearings.The SaltPlus "Trapez V2" Front Hub comes with a 14mm CrMo female axle and 3/8" CrMo bolts. The low flange hub shell has a a round shape. Of course this front hub is equipped with high quality sealed bearings. This SaltPlus "Trapez V2" Front Hub inludes a pair of additional special CrMo cones which allow you to equip the hub with the separately sold Salt Plus "PRO" nylon front hubguards.